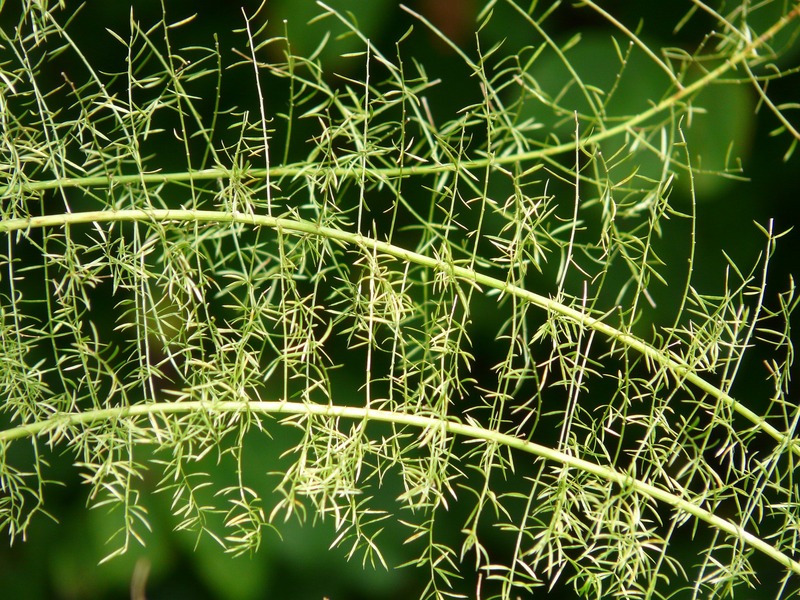 Asparagus Fern is a branching perennial herb with tough green aerial stems which are sparsely covered with spines. The leaves are actually leaf-like cladodes, which are 0.8-2 cm long and 0.1-0.2 cm wide, and arise in groups of four or more from the stem. Occurring in spring, the small white or pinkish-white flowers are 0.3-0.5 cm long and arise in clusters off the stem.